Francine Deschepper is a Halifax-based actor, Past President of ACTRA Maritimes and an ACTRA National Councillor. On March 6, 2019, the CBC will premiere a new Nova Scotia-shot mini-series set in the cities of Halifax and Dartmouth and in the community of North Preston. Diggstown follows Marcie Diggs, a star corporate lawyer who reconsiders her life’s priorities and joins a team of legal aid workers to find justice for their diverse clients – exploring issues of racism, poverty and gender bias. 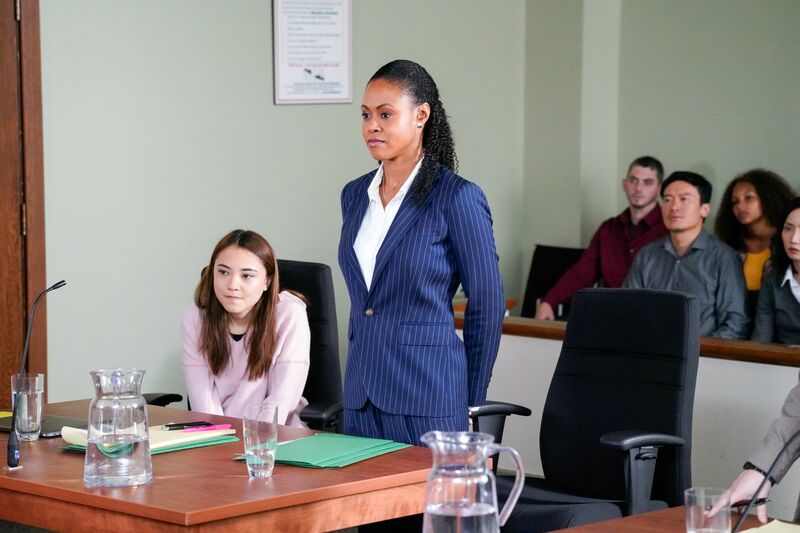 And, as if the setting and stories aren’t unique enough, the series is headlined by Vinessa Antoine who is breaking ground as the first woman of colour to be ‘number one on the call sheet’ of a prime-time Canadian drama. ACTRA Maritimes’ Francine Deschepper had the pleasure of both acting alongside Vinessa in an episode of season one and finding this opportunity to chat about the show. Francine: Why did you want to play the character of Marcie Diggs? Vinessa: I get really excited about roles, particularly for women of colour, that are contrary to stereotype. A black female lead who surfs checked some of those boxes for me. In the past, it was rare to see a black woman leading a show. In fact, it had not been seen at all in the history of network television in Canada. I was excited to finally break this cycle with a character and a writer who is passionate about telling stories not only from a human point of view, but also from the perspective of a black Canadian woman. Marcie is incredibly kind and smart but also so flawed with all sorts of ugly bits inside of her. For the longest time, I’ve wanted to see characters like that on TV and now I get to play one. Nicole Huff and Vinessa Antoine in Diggstown. Photo courtesy of CBC. Diggstown is set in North Preston, Nova Scotia; the oldest and largest black community in Canada. Why do you think it is important to tell stories from diverse Canadian communities? Diversity and multicultural communities are what makes Canada so special! As a child, when I flipped on my television, I didn’t see myself or my experience. As I got older, I ultimately felt separate and not important. Like I didn’t matter. Psychologically, it can and has caused some damage. But it’s changing and it’s long overdue. It’s just so important to feel included and properly represented. We all beneﬁt. Communities such as North Preston have often been negatively stigmatized. Do the Diggstown story lines work to combat these negative stereotypes? I don’t know if they necessarily help to combat the negative stereotypes as much as they challenge our ideas about human struggles. I believe Diggstown is about how we choose to see people based on our own perceptions and who we think they are. Often times, once we get a look inside of someone’s real life, we are surprised to learn what they are really about. I love that Diggstown allows us to take a peek into that concept. 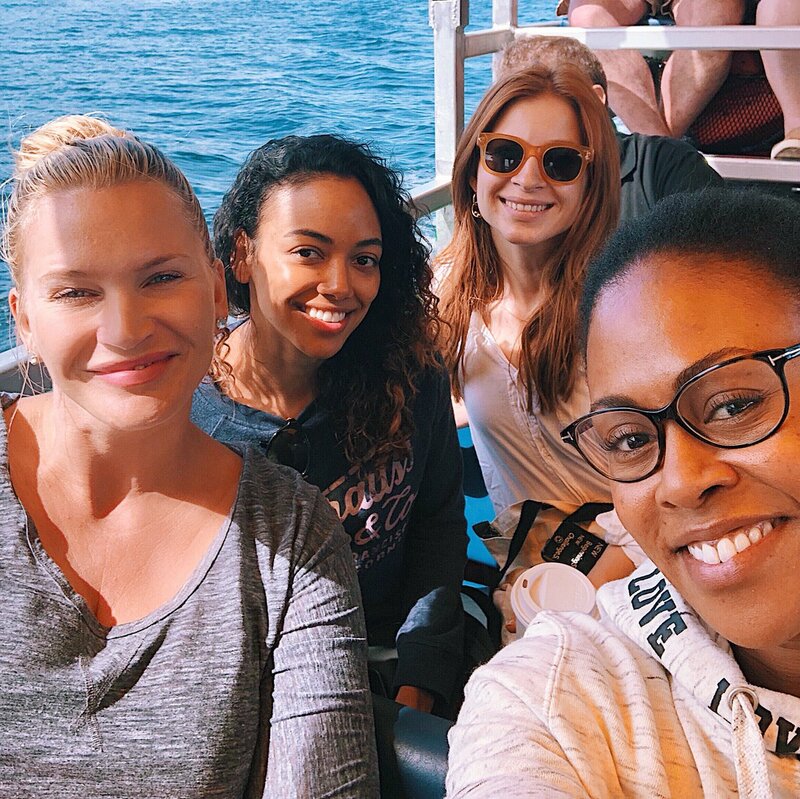 Natasha Henstridge, Shailene Garnett, Stacey Farber and Vinessa Antoine checking out Halifax on the Harbour Hopper. Diggstown not only features women in strong leading roles, but also has an impressive roster of behind-the-camera female talent. How do you think this impacts the series? I think it’s fantastic to have so many roles behind the camera filled with women, but I don’t necessarily think it impacts the show in the way people may think. My belief is that you are either good at your job or you’re not. 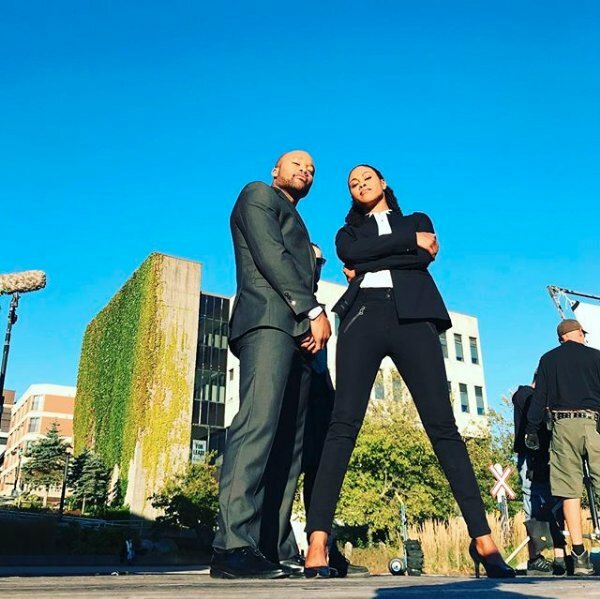 This show was created and written by a black Canadian man (Floyd Kane). For these characters to come to life and for [the story] to make sense, he has to have a great interest in writing from a female perspective. He obviously is invested. The other side is about having the skills to direct, to edit, to light. I don’t believe it’s about male or female. In this industry, even if it is dominated by really good men, you gotta be great. Period. Dwain Murphy and Vinessa Antoine. Canada has produced a lot of legal dramas over the years, what makes Diggstown unique? Diggstown isn’t about big flashy lawyers fighting huge criminal cases. It’s about the everyday Canadian going through everyday struggles. The single parents just trying to provide the best for their child. The immigrant family man who wants to live and work to provide for his family. All of the attorneys, including Marcie Diggs, have some pretty cloudy and emotional personal lives that are carefully examined without it feeling like a typical legal drama. Not to mention the epic surfing!